Tapping on huge financial and human resources available for the use of the Turkish government’s religious arm, Islamist President Recep Tayyip Erdoğan is aiming to gain a foothold in countries that have Muslim minorities in order to promote his hardline Islamist ideology and project his image of caliph to the world. 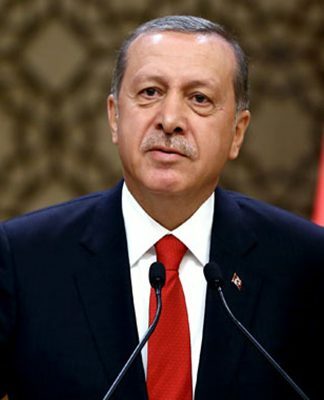 Stressing that God’s judgment is already given in such cases, Erdoğan said: “Therefore we, as communities of faith, can overcome whatever others have, including bombs and other things, with God’s permission. In history, many small, well-organized groups dominated and ruled groups that had many more people.” In other words, the Turkish president was urging Muslim community representatives from some 100 countries including South Africa, America, Mexico, India and Argentina as well as countries in Europe to organize themselves with a view toward conquering and governing the countries in which they live. This is yet another instance of how Erdoğan’s caliphate ambitions to command the allegiance of all Muslims in the world were manifested, this time at a meeting in lavish Dolmabahçe Palace, which served as the main administrative center of the Ottoman Empire in the 19th century. 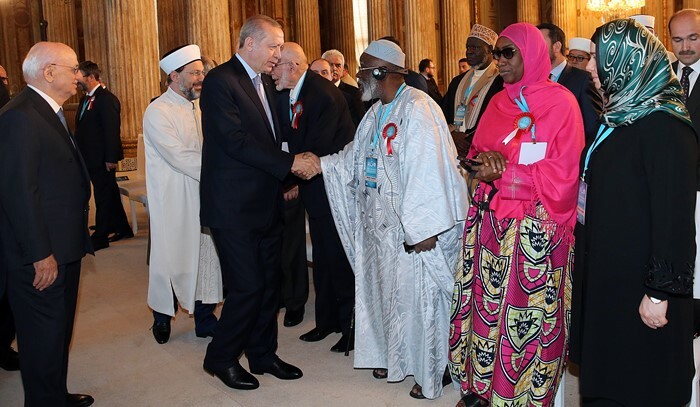 The Diyanet has organized similar events in the past for President Erdoğan and provided a platform for him to reach out to Muslim leaders in other countries. To name a few, the African Muslim Leaders Summit, the Latin America and Caribbean Islands Muslim Leaders Summit and the Eurasian Islamic Consultancy meetings were all put on by the Diyanet in recent years to promote Erdoğan’s vision for the world. The Diyanet, once touted as a neutral and non-political body, has unfortunately been turned into a partisan tool in the hands of the Erdoğan government that even ordered imams abroad to spy on critics and opponents, sparking international scandals in countries that are home to large Turkish diaspora groups. The Diyanet enjoys a nearly $2 billion annual budget from government coffers and controls some 90,000 mosques in Turkey and overseas, with some 120,000 imams and other religious staff (not including people on temporary contracts). It maintains 106 religious attachés in 57 countries and employs some 2,000 imams to manage mosques in other countries. According to the Erdoğan-appointed Ali Erbaş, head of the Diyanet, some 25 million people in Turkey and abroad listen to sermons every Friday prepared centrally by the agency. 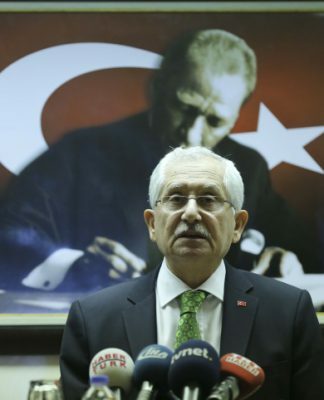 Erbaş who said he approves suicide bombings in armed conflict, parrots Erdoğan’s narrative and puts what his boss is preaching into a religious package to make his arguments appear more convincing, especially for the practicing and pious segments of Muslim communities. Just last week, the Diyanet brought some 400 imams from Syria to train them in the Turkish resort city of Antalya. They will later be dispatched to areas under Turkish military control such as Jarablus and Afrin to disseminate Erdogan’s Islamist vision for Syria. In fact, it was the Diyanet that mobilized imams in January to deliver jihadist preaching in the wake of the Turkish military’s offensive to take over the Afrin district of Syria near the Turkish border, with Erbaş ordering them to pray for the Turkish army’s victory and to publicly recite chapter 48 of the Quran, Surah al-Fath, that talks about conquest. Speaking at his party’s convention in İstanbul’s Üskudar district on April 16, Erdoğan said the Turkish-backed Free Syrian Army (FSA), along with the Turkish military, is fighting against what he called “godless and faithless” people in Syria. He was branding Muslim Kurds aligned with the Democratic Union Party (PYD) as infidels and justifying the battle against them in religious references often borrowed from Quranic texts. This was not the first time that Erdoğan described his critics and opponents as non-believers. When prominent Turkish Muslim intellectual Fethullah Gülen, who has written dozens of books on religion and advocates interfaith dialogue, took a critical stand against Erdoğan on pervasive corruption in the government and the Turkish Islamist rulers’ aiding and abetting of jihadists in Syria and Libya, Erdoğan branded him as a heretic and challenged Gülen’s religious credentials. He went so far as to claim that Gülen himself and his followers are non-Muslims, rejecting the idea of Islam interacting with other religions in interfaith dialogue. Asked why Erdoğan was furious with him in an interview, Gülen revealed that the Turkish president wanted to use schools run by his movement in Turkey and abroad as a platform for promoting himself as caliph. He said the movement flat-out rejected such a suggestion, which amounted to blatant interference in the affairs of other countries and would taint the image of the schools as education centers that promote science, math and free, critical and analytical thinking. 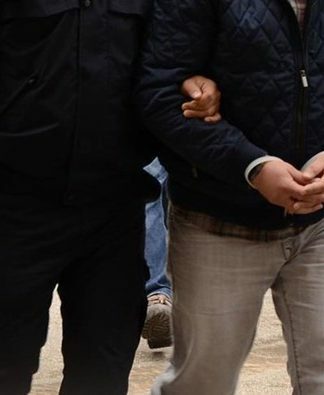 Frustrated with Gülen’s resistance, Erdoğan fabricated terror charges against the group and blamed the false flag coup attempt of 2016 on Gülen without presenting any evidence to prove such absurd allegations. But the politically motivated investigations helped him to seize well over a thousand of the nation’s best-performing schools. 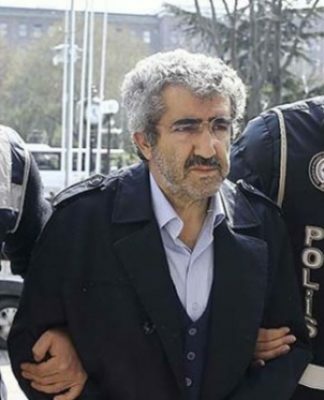 He is now trying to do the same overseas by bribing, blackmailing and pressuring foreign governments to hand Gülen schools over to his radical Maarif Foundation. Both Erdoğan’s speeches and his government’s policy actions point to a place in which he has been positioning himself as the caliph-like leader of all Muslims in the world. His deputies and ministers openly entertain the idea of him leading the entire Muslim world in speeches delivered every week across Turkey. The same idea is being promoted to non-Turkish Muslim diaspora groups abroad as well when Erdoğan or his associates visits foreign countries, where they often meet with representatives of Muslim communities. This is a dangerous development that could potentially destabilize other countries with minority issues and as such represents an open threat for the security of nations that host Muslim minority groups. The weakest, most effeminate and confused Western leaders in modern history, vs some of the most focused, devious and cunning leaders in the history of the Islamic world. He is the antichrist and will declare himself caliph. I know this because I am his nemesis, the one they call Elijah, and I have come to prepare the way. This will be done by overseeing the destruction of the Muslim world.